“They” say there are two things in life that are certain: taxes and death. Essentially, it seems as though we work until we die so that our taxes can be paid on time, every year. But what really stinks is when you’re punching in, hating eight or more hours of your day, and punching out. Life becomes an unrelenting real-life Groundhog Day. Or maybe you liked your job, but your employment was recently terminated for one reason or another. Now you’re reevaluating everything, and contemplating a change. Whatever reason you have for wanting out of one career and into another, there are many things to consider, and many career options to choose from. Is It Too Late In Life To Change Careers? That’s almost a rhetorical question, since you’re the only one who can make that decision. No matter what age you are, if you’re living for the weekends because your job is stressing you out and leaving you unsatisfied, then maybe a career change should be considered. Your current paycheck isn’t even enough to keep you from dreading work, and you know you have talents better suited for something else. In the scheme of things, your age should be the least of the factors prompting you to consider changing careers. If you have the drive, ability, desire, and industriousness, then nothing should stop you from fulfilling your dream of switching careers. BLS reports that over 40 percent of workers age 55 and older are looking to switch jobs or careers, with that number expected to increase by 2024. Fifty-four percent of GenX isn’t planning on retiring by age 65. More than 50 percent of employees change jobs every three years. A 2016 BLS survey showed four percent of the entire U.S. workforce went from one industry to another. Research has shown that most Americans have changed their jobs 10-15 times in their life. What research hasn’t proven is what is considered a job change—whether it’s a promotion, moving to a different department within the same company, or completely jumping from one industry to another. There are many variations on this midlife career-changing theme. However, there are some common fears most people have that can prevent them from making a career change. There are plenty of obstacles that can hold us back from making any type of change. The unknown can be scary, especially when you’ve been in a comfortably familiar state for a long time. We have one chance at this crazy ride called life, and sometimes, we have to take chances in order to really live. But, before you leap, it really is best to look. If a career change is on the table, think about the following things before making this life-altering decision. 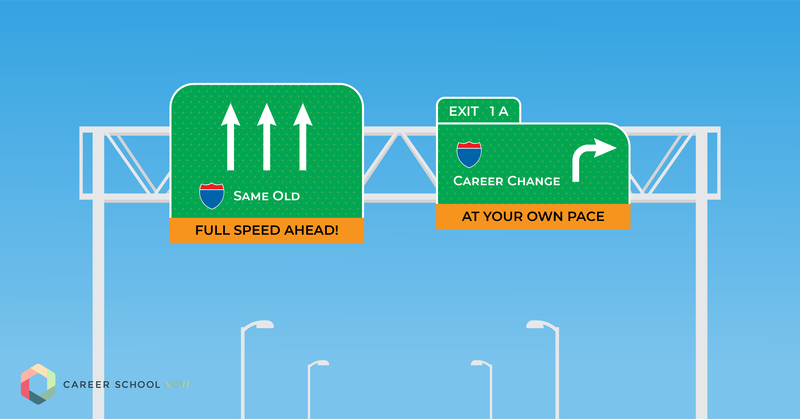 Weigh your reasoning for wanting a career change. Are you unhappy? Bored? Feeling stuck? Make sure it isn’t just your job that you want to change, as opposed to your entire career. Take into consideration your financial situation. Depending on your second stage career goal, determine if you have enough savings to support a potential drawn-out financial draught. Do you have a financial plan in place? Do you need to downsize? Live on a budget till your new career has you up and running again? Do you have enough in savings, in case you need to dip into it? Look beyond your passion. 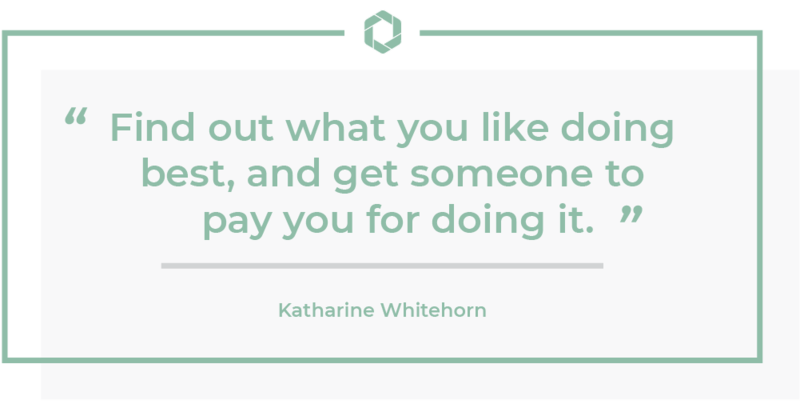 It’s always satisfying to get paid for your passion, but make sure your passion has a sustainable paycheck associated with it. Otherwise, look into your interests; those may be a better fit to make a living. Have a backup plan in place. For example, if your new career is going to take some schooling, can you do that and keep getting a paycheck simultaneously? You may need to make sure your finances are in order so you can pay bills during this transition time. Be realistic. The truth is, a career change comes with a lot of other things, like maybe a lower salary than what you were used to, different work schedules, or use of a different skill set. Having realistic expectations is beneficial to your emotional and physical well-being. Work for yourself or someone else. This is something you need to figure out before even going from one career to the next. It’s a huge decision. A consistent paycheck doesn’t usually come quickly with this option. Do plenty of research. Whether you know what your second stage career is going to be or not, it’s always a wise idea to look deep into it. Use the internet, talk with people in the field, see if you can sit in on a class—use whatever resources you can to help you decide if this is the career for you. Being 40 or older should not limit you from every career option available. But, let’s be real, are you wanting to find something relatively quickly, or do you want to devote years to going after a medical degree? Even though most 40+ year olds aren’t thinking about retiring, the majority of their work years are behind them. So, for a fresh, new career you can begin with very little training, you may want to consider one of the following highly satisfying careers. Dental assistant: Graduate from an accredited dental assisting program, and pass the state exam. Since it’s a certificate program, it only takes about one year. You’ll earn over $37K, and since the career is expected to grow 19 percent, you should easily find a job. Personal trainer: You only need your high school diploma or GED to become a personal trainer. You will need to have a certification in order to find a job more readily. You’ll earn around $39K, and since more people are looking to lead a healthier, more productive life, you shouldn’t have a hard time finding a job. There are so many gyms opening up all around. Massage therapy: You’ll complete an accredited massage therapy program, which takes at least 500 hours. Each state has its own licensing requirement, so check with yours to find out what you’ll need to do. You’ll earn an average salary of just under $40K. This career is predicted to grow exceptionally fast, at 26 percent, which means jobs should be plentiful. Vet tech: You’ll have to get an associate degree to become a veterinary technician, and that takes two years if you attend school on a full-time basis. You’ll earn a median salary of over $33K, and since it’s a rapidly growing career, you shouldn’t have a terrible time finding a job. Administrative/executive assistant: Most administrative assistants are trained on the job, and they earn a median of $37K. This career is not predicted to grow very much in the next few years, so unless you already have a job lined up, it’s not the best one to think about as your second career. Freelance: As a freelancer, you are only limited by your own imagination. If you have a marketable skill, consider starting a freelance business around it. You can also try out different gigs through platforms such as Uber, Task Rabbit, or Airbnb. Information technology: There are many different types of careers in IT, and it takes anything from work experience to a doctorate to snag a job. These are usually pretty high-paying careers, as well as necessary to nearly any industry. Business administration: Whatever type of degree you have, from a certification or higher, will dictate the type of business administration career you can step into. Obviously, the more education you have, the more you can command higher paychecks. This is a highly competitive field, and therefore, so are the available jobs. Registered nurse: You can become an RN three different ways: through a nursing certificate program, a two-year associate degree program, or a bachelor of science in nursing program. We need nurses, so there are a lot of jobs available. The median salary is $70K. Physical therapy assistant: Physical therapy assistants must be licensed, so you’ll have to complete a two-year associate degree program and pass the state licensing exam. This career is expecting huge growth, with over 27K new jobs opening through 2026. You’ll earn a median salary of $57K. There are so many different types of careers out there to choose from that truly, the hardest part of changing careers at midlife is picking the right one for you.